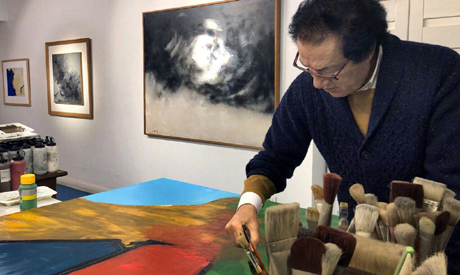 The Cabo Foundation contemporary art platform in Kuwait will open tonight an exhibition by Egyptian artist and former Minister of Culture Farouk Hosni. This is the second exhibition by Hosni in Kuwait since 1998 and his 10th since leaving the position of culture minister. 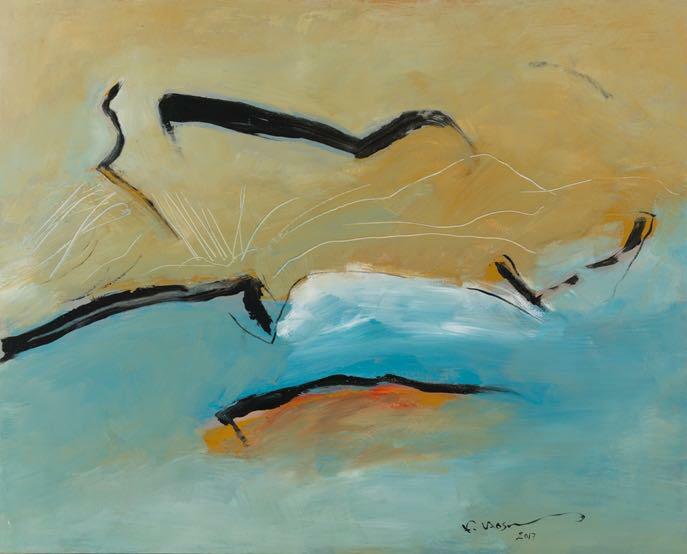 The exhibition, which will run until January 11, is displaying a collection of 39 works of art portraying Egypt through an abstract style that combines the Nile, the sea, and the utterly parched desert. Farouk Hosny is one of the most outstanding contemporary artists in Egypt and the Arab world. He graduated from the Faculty of Fine Arts at the University of Alexandria in 1964. At a young age he assumed the prestigious position of heading the Egyptian Academy of Arts in Rome, and he was later appointed as the minister of culture of Egypt until his retirement in 2011. His works have been displayed at major art museums, including the Metropolitan in New York, the Houston Museum of Fine Arts, Fort Lauderdale in Miami, the National Museum of Vienna of Austria, the Tokyo Museum of Japan, the Carrousel Museum of the Louvre, Le Vittoriano Museum in Rome, as well as at several Arab and Egyptian Museums.